"You've got Halloween costumes," I said. 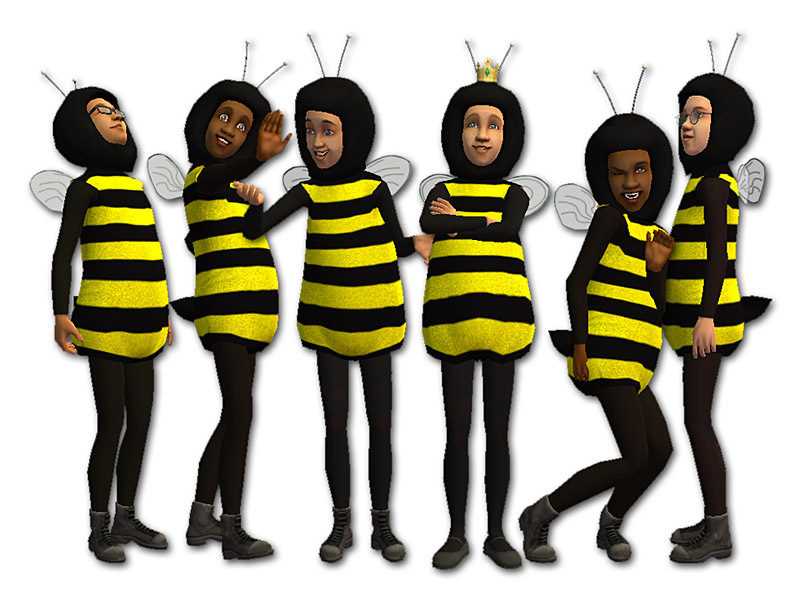 "You can be fairies or pirates or chefs or hula dancers or racecar drivers or aviators--"
"We want to be bees!" "Bees? And where am I supposed to find bee costumes for you?" 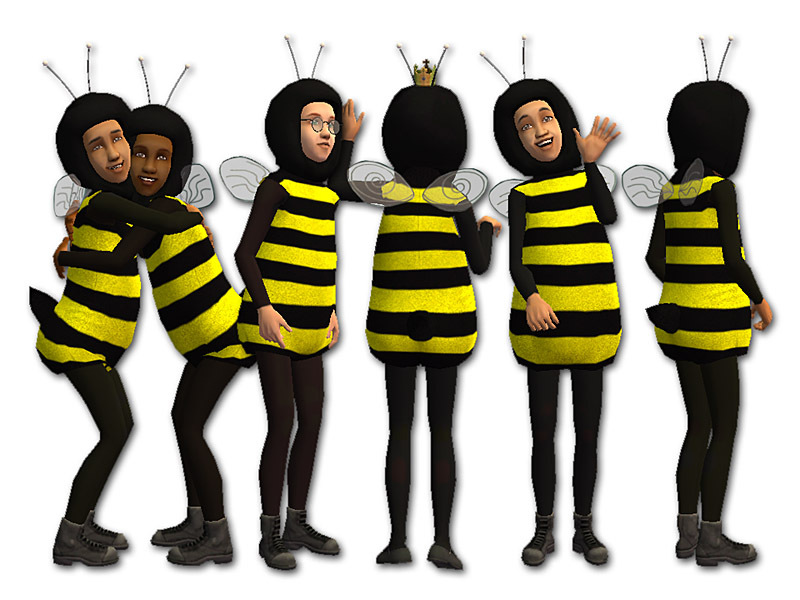 And so began the task of outfitting a bunch of spoiled Sim children in bee costumes. Much sewing, coat hanger-bending, gluing, and cursing later, here are two bee costumes. The worker bee outfit is worn with black boots and has wavy veins on the wings. The queen bee outfit comes with black Mary Jane shoes and has spiral veins on the wings. The headdress comes in two variations: one with a shiny crown and one without (both use the same mesh). The headdress with the crown and the queen bee outfit are for girls only; the plain headdress and the worker bee outfit are unisex. There is no fat morph with this mesh, as it's a pretty pudgy costume to begin with (you wouldn't notice much difference in the fat state, anyway). The headdresses are actually hairdos, which are colour-binned and decustomized. A big thanks to CatOfEvilGenius for her Quick Easy Hair Binner. 507 people have said thanks to fakepeeps7 for this download.